Welcome to the Bo Bunny & Scor-Pal Blog Hop! This week we have teamed up with Scor-Pal for a little blog hop of inspiration! Scor-Pal was so very generous and sent each of our designers a Scor-Buddy to work with. 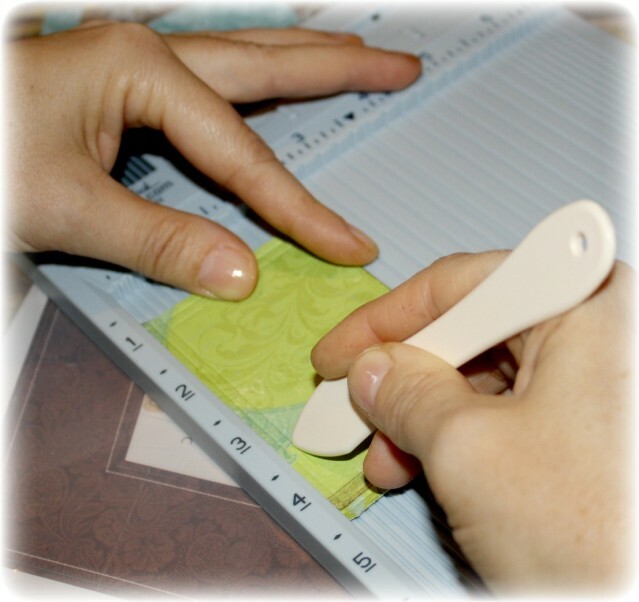 The Scor-Pal is an amazing and versatile scoring tool that simplifies paper folding for such crafts as card making and scrapbooking. We are starting off the blog hop today by sharing some of the projects created by our Bo Bunny designers combining the Scor-Buddy with various Bo Bunny products. We have treat containers, gift boxes, cards, and home decor to share with you today. Let's take a closer look at what they have created with their Scor-Buddies. 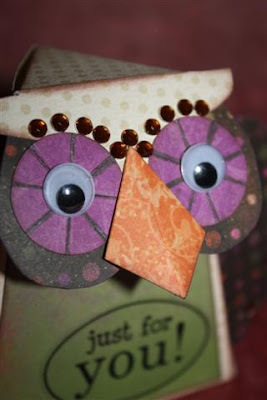 Designer Note: The Scor Buddy was used for all the folds and then to add interest to the eyes and shape to the beak. 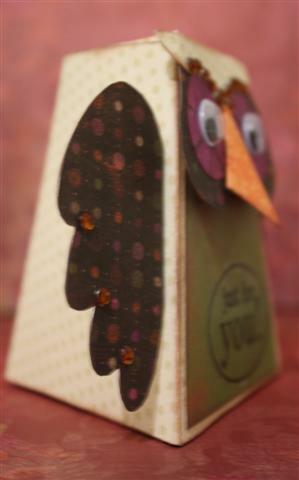 This silly turkey can hold small treats and even be used as a name place card at the dinner table for kids on Thanksgiving. He’s made using a handmade “sour cream” style paper tube and a few fans using the Scor Buddy Tool and Bo Bunny’s Fall Foliage pattern paper. 1. Score a 4” x 12” piece of stripe pattern paper at ¼” markings and accordion fold. Cut a 4” circle from pattern paper, then shape the accordion folded strip into a fan. Adhere to the circle using hot glue or other strong adhesive to keep the fan’s shape. 2. Create a “sour cream” container by making a tube from 3 ½” x 6” piece of brown pattern paper. Fill with treats and seal ends with adhesive. 3. 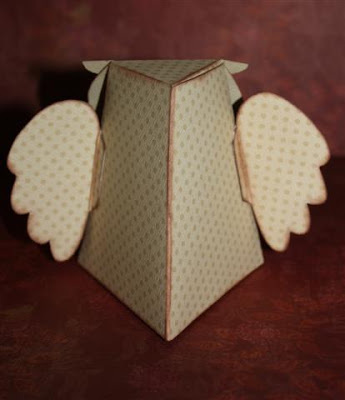 Create 2 small fans in the same fashion as the tale from 2 – 4” x 2” pieces of pattern paper. 4. Create a face using a 2” circle punch, a small triangle and inverted heart as well as a couple of wiggly eyes. 5. 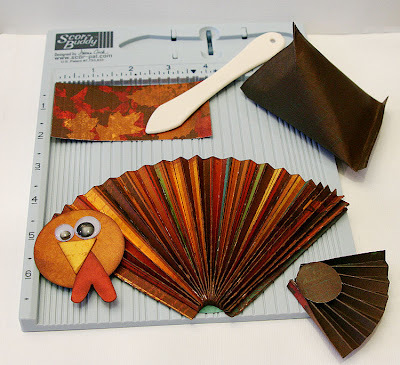 Assemble the turkey with hot glue or strong adhesive. First, attach the body to the tail, then add the face by bending the top front corner of the “sour cream” container. Add the wings on the sides. To help the turkey stand, glue a 2” circle to the bottom and add 2 hearts for feet. We hope that you have been inspired by the various projects created by the Bo Bunny designers today! 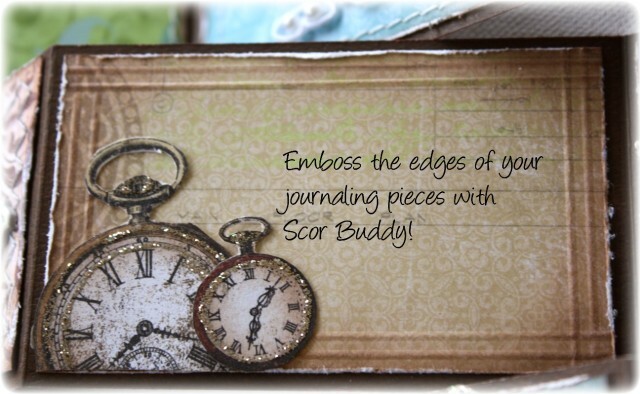 Now you must stop by the Scor-Pal blog and check out their creations! We guarantee that more inspiration awaits you!!! OK, now, who would LOVE to win a prize?! If you answered yes, then make sure you leave a comment here and then hop over to the Scor-Pal blog and leave a comment there. 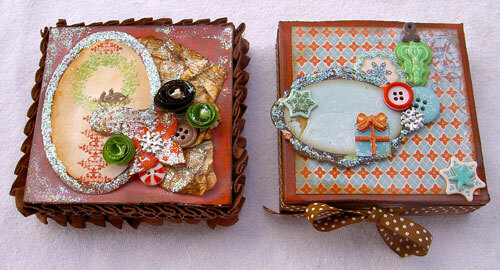 We will be sharing projects for this blog hop on both blogs from now until Friday, November 4th. Bo Bunny and Scor-Pal will each be selecting one winner from all the comments left for a fabulous prize package! So the more times you leave a comment, the more chances you have of winning! Good luck and thanks for hopping by!!! Love these projects! That turkey is adorable. Love the all projects!I was inspired! Great projects!! I love the wreath and the turkey!! I love these all but that turkey just rocked my socks off!!! Thanks for teh inspiration!!! I absolutely LOVE the little Turkey! He's so cute! and the snow fun wreath is really pretty! Great work from de DT girls!!! Awesome!!! Great projects! LOVE the owl and turkey. Great projects! Never thought of adding interest to a tag by scoring lines on it. Very nice! Love these projects, especially the tri-fold card! love the trifold card and thank you for sharing the template too! Great projects and some very pretty papers used! Great projects everyone! The turkey is so fun and the card is just beautiful. What awesome projects!! Your DT versality is amazing! I especially love the Thanksgiving turkey! I'm now off to the Scor-pal blog to see what projects they have come up with! Super fun projects today. Love the Thank You card!! Beautiful projects. The gift boxes were lovely, the owl is adorable especially with the bling eyebrows, the turkey is really cute for the Thanksgiving table, the wreath with the soft blues is wonderful, the trifold card is gorgeous with all the lace and distress, the frame created by the scoring on the clocks piece was a great detail. Thank you for sharing and the chance to win. Wow, such beautiful work! Thank you for the inspiration. beautiful work, thank you for the turkey tutorial! gorgeous creations everyone! wow I need one of those score buddies...they look amazing! Wow! These are amazing and very motivating. 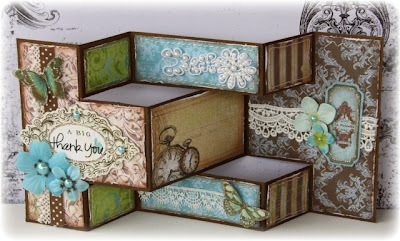 What amazing and creative ways to use the scor pal tool and beautiful BoBunny papers. I love the tri fold card especially! These are all just gorgeous projects!! I love all the unique and beautiful ideas with so many stunning details!! The designers really went above and beyond with these!!! and that "silly turkey" is so fun!!! Creative projects! Love that owl and turkey! Great stuff! Cute projects! Love the turkey treat box! fabulous projects! love the owl and turkey, I think the kiddos would love to help making them. Great ideas! I especially loved the turkey. And I love Bo Bunny products more than most others. Love the projects. All so different but all so amazing! Gorgeous and fun, all rolled into one! You guys are awesome and so is Diana! Love all the projects. Great job. wonderful collection of inspirational projects. I have the scor pal but would love the buddy for card making. Love the turkey, I think I will have to make some. I love the Snow Wreath and also all the other projects. But I am a true fan of Gabrielle. 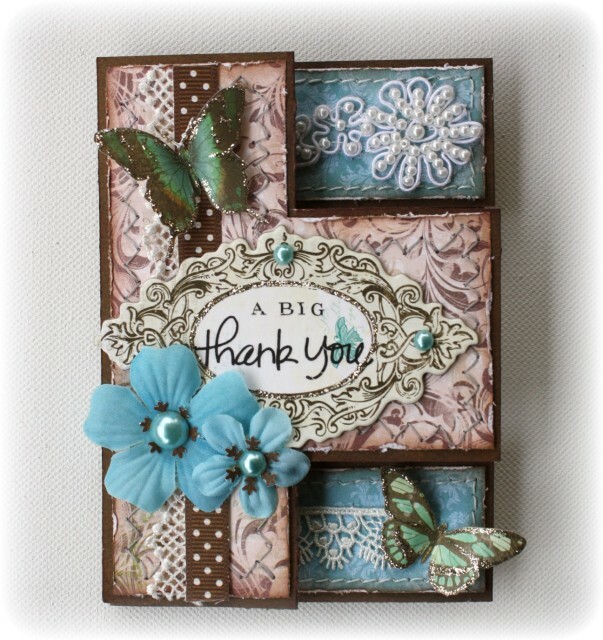 I love her card and all her other projects using Bo Bunny...that is also a fav of mine. I don't have a scor-pal but I'm sure I would love it. Thanks for the chance to win some awesome goodies and the inspiration for projects. What a wonderful variety of projects! Thanks for the inspiration. Simply gorgeous projects. 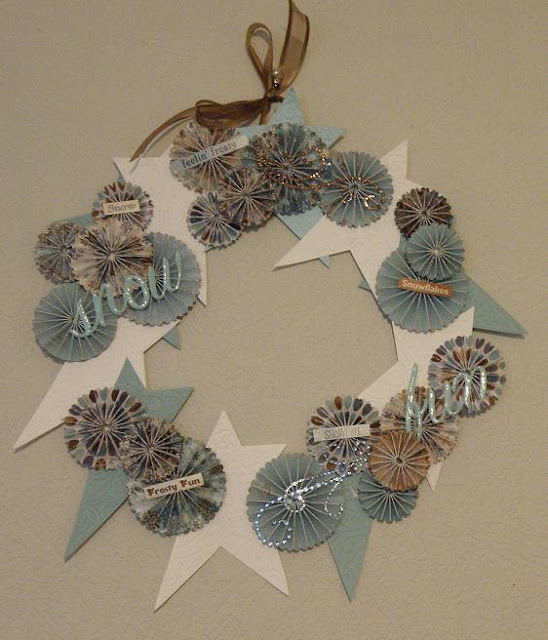 Love the colors and papers used on the wreath and the tri-fold card is exceptional. Can't wait to see more. Thanks for the chance to win. These are simply gorgeous. Love that tri-fold card and the wreath is awesome. Thanks for the chance to win and am looking forward to see more this week. 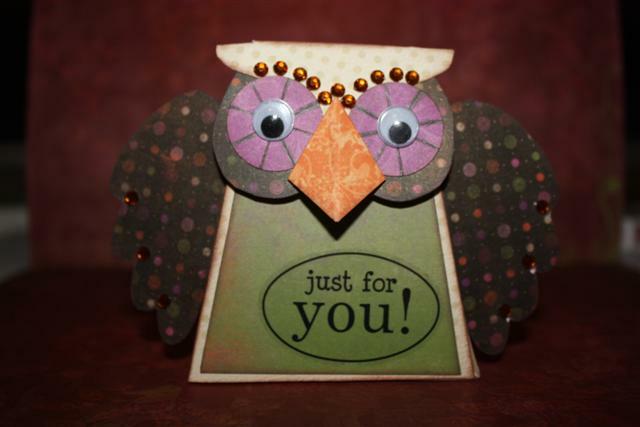 wowww thank you for showing off such lovely projects as well as how to use the scor tool! the wreath is especially nice! LOVE all of the projects. The tri-fold card is especially gorgeous. Such fun projects! Love the turkey! Amazing!!! But the turkey caught my eye!!!! Love all the projects! Thanks for sharing! such creative uses with the scor pal! that turkey is adorable! I just used my Score Pal earlier today to make toppers for treat bags for my catechism kids. Great projects. wow! what inspiration love that card. These are some awesome projects! All the projects are wonderful, but I love the Snow Fun Wreath. It is beautiful. Great collaborations, with you and Scor-Pal. Such lovely projects! I am feeling SO inspired! Bo Bunny and Scor Pal is a great combination! Love the projects ladies! Fantastic projects. I am in love with the Thank you step card. Such beautiful embellishments and the color is fabulous. TFS!!! Wonderful projects! Love them all! I love the wreath!!! I will try it out too!!! WOW!! Such beautiful projects, so full of creativity and inspiration. Awesome projects! I love my scorpal! Geez, I don't know which project I want to try first! Great projects to use with my Scor Pal. Amazing projects shared today! THanks for the inspiration! What fun! Love the turkey! Love these projects. Great use of the Scor-Pal. 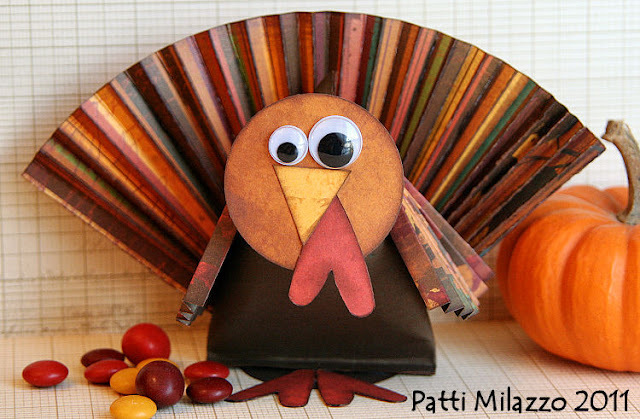 All of these projects are just so delightful, but I especially love Patti's turkey - going to give this a try and put them on the kids table for Thanksgiving this year. TOO CUTE!! Oh my gosh! These crafters blew me away! Everything looks fabulous! The owl and the turkey are ADORABLE! WOW! All amazing projects! I especially love the rosettes on the wreath! Wow! what a fun group of projects. My favorite is the turkey. I love his eyes. Loving all the gorgeous projects! 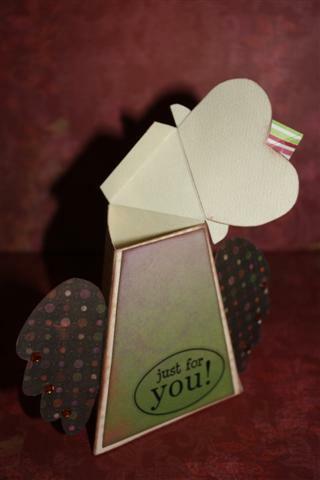 Bo Bunny papers are always the best..which makes for spectacular cards and home decor! wow. love the projects. turkey is my fav. thanks for a chance to win. Marvelous projects! The gift boxes are fun and the turkey is so cute! great projects. thank you for sharing. These projects are absolutely BRILLIANT! The turkey is so stink in cute; simply amazing card and home decor; it is all just gorgeous! Thanks for sharing all these wonderful ideas. Wow! These are some inspiring projects and ideas! These projects and papers rock! SO much inspiration with all the projects this week! I'm lovin' it! Thanks so much! BO BUNNY and SCOR PAL? What more could you ask for? Perfect combination. 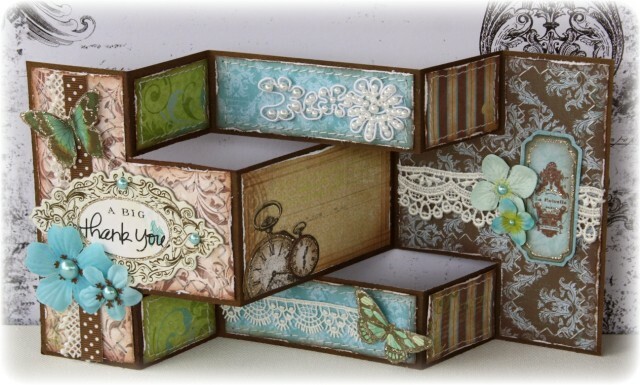 I love all the project posted but my absolute favorite is teh tri fold card, it is sooooooooo gorgeous! Thank you all for sharing, you are an inspiration. What great projects. Thanks for sharing all these cool projects. Oh such adorable projects!! Love the turkey one and Gabi's card is amazing!!!!!! Very creative and inspiring. Love BoBunny and Scorpal. Makes life easier. Thanks. Fab projects, thanks for the inspiration! fabulous work by everyone, the card is just gorgeous. Wow that's a great tool and great projetcts amazing!! That turkey is a-dor-able! Gotta make him. 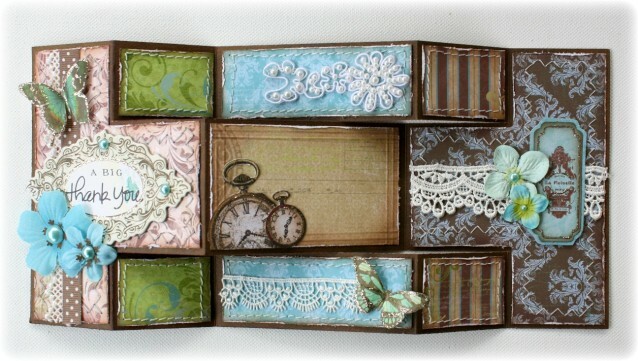 I love the idea of scoring my journaling cards....it looks awesome! 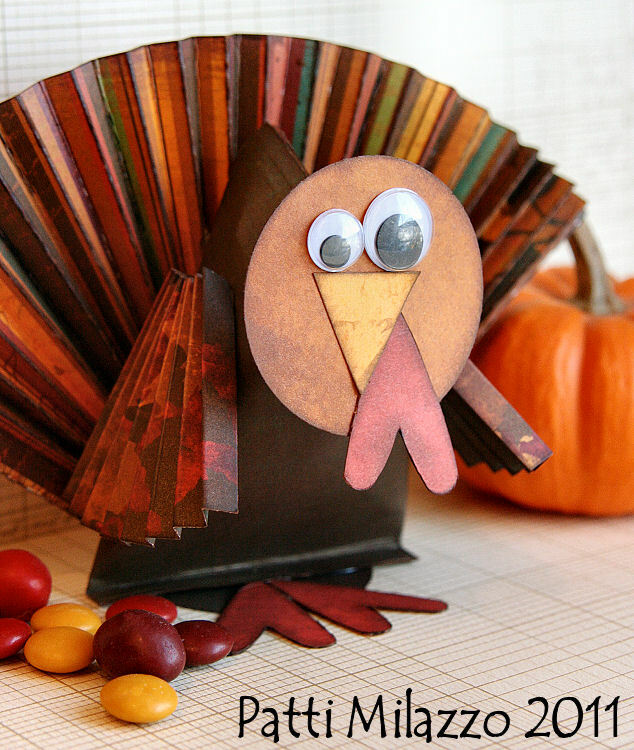 Great projects--love the owl and turkey.